The outdoor market in my neighborhood is now open for the season, and I have been enjoying the undeniable pleasures of fresh locally grown produce. So far in Northern Indiana that means sweet teensy strawberries, leafy salad greens, rainbows of beets, and “hand-snapped” (one farmer tells me each time) bundles of asparagus. 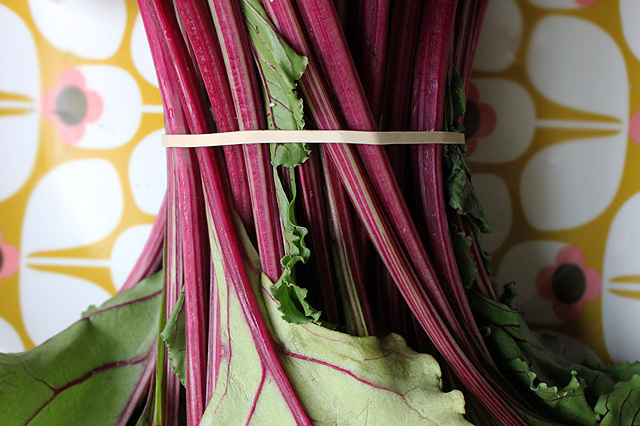 My roasted red beet and spring green asparagus recipe comes together perfectly this time of year. Minimal dishes required for maximum flavors in one roasting pan: sweet/smoky/earthy/smooth/crunchy. Serves 1 or 2 depending on the situation. I imagine this dish as a beautiful accompaniment to grilled salmon or an oven-poached white fish. 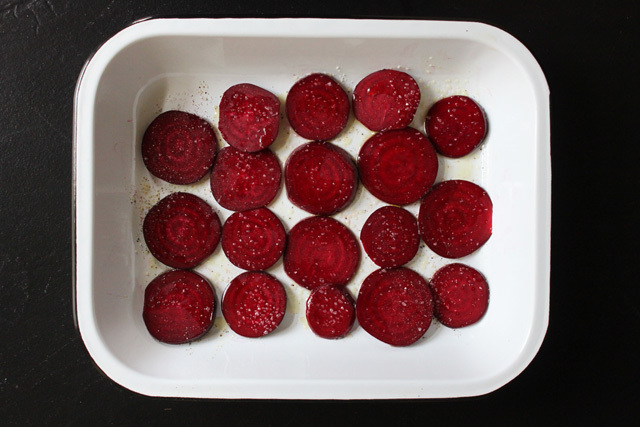 Scrub beets and slice into coins. Place in roasting pan and drizzle with olive oil. Season with salt and pepper. Bake for 8 minutes, turning once. Meanwhile, rinse asparagus and chop off the woody ends. 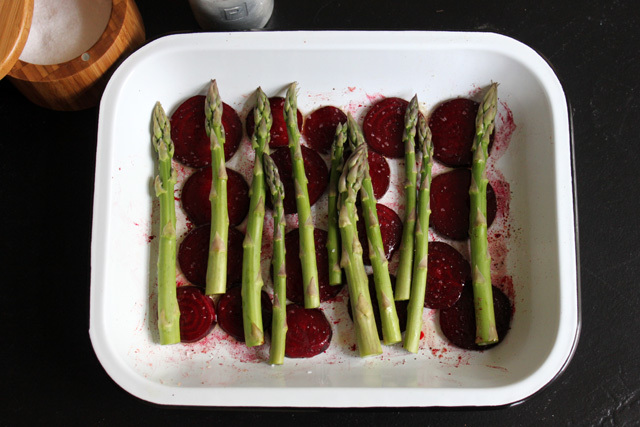 Place asparagus on top of the roasted beets and drizzle with olive oil. Season with salt & pepper. Bake together for 10 minutes more, turning once. 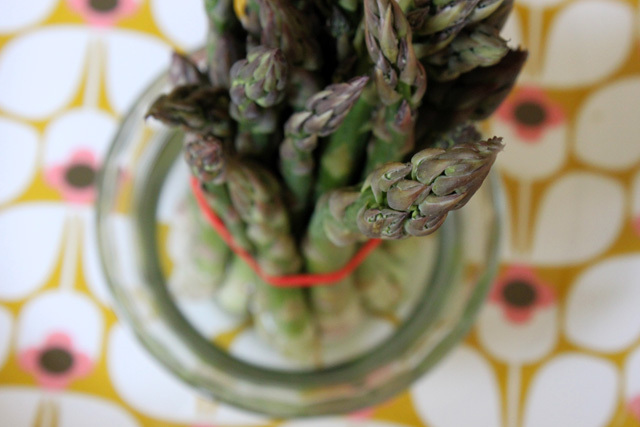 At the end of ten minutes you should be able to smell the roasted asparagus and see a slight browning on the stems. If needed, keep the pan in the oven a few minutes longer. 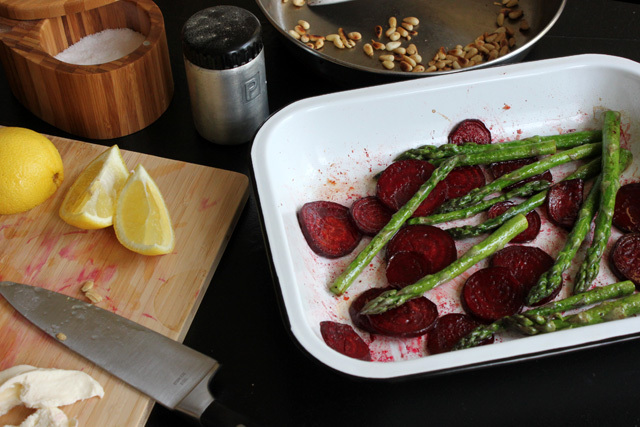 While the asparagus and beets are roasting in the oven, toast the pine nuts in a medium skillet for about five minutes. Toss them frequently or they will quickly scorch. Set aside to cool. 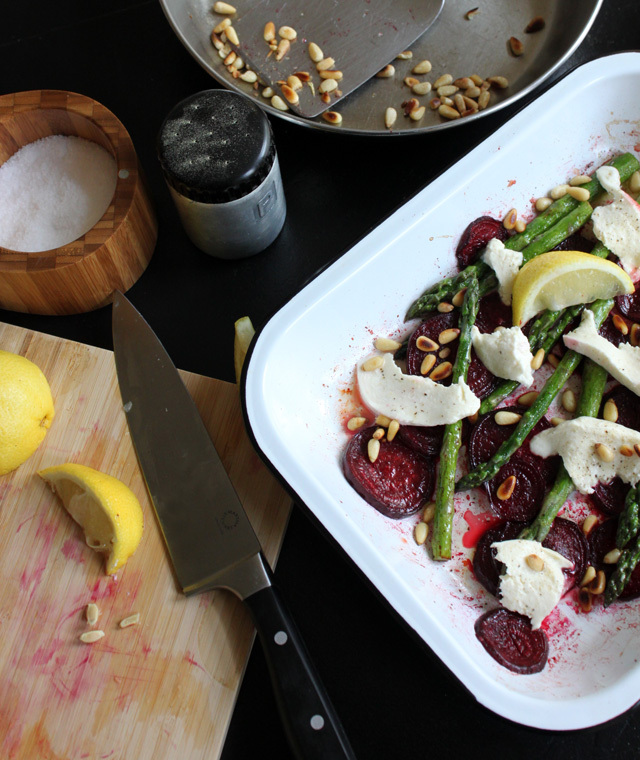 Top the warm roasted red beets and spring green asparagus with slices of fresh mozzarella and sprinkle with toasted pine nuts. A squeeze of fresh lemon juice never hurts either. Just looks so gorgeous and fresh! Love the colors too.